Life and health insurance agency management software manages the back-office functions of life and health insurance providers. These solutions provide CRM, marketing, document management capabilities, and more to drive business growth. Life and health insurance providers use these solutions as the central hub for their sales and marketing activities, and these systems act as a repository for all client-related information. Life and health insurance agency management software often includes insurance document management, task management, workflow management, contact management, and reporting functionality. Life and health insurance agency management software can operate as a standalone solution, but often comes as part of insurance suites software. Life & Health Insurance Agency Management reviews by real, verified users. Find unbiased ratings on user satisfaction, features, and price based on the most reviews available anywhere. 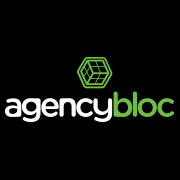 AgencyBloc, the #1 Agency Recommended Management System, helps life and health insurance agencies grow their business with an industry-specific CRM, commissions processing, and integrated business and marketing automation. An all-in-one agency software solution. NextAgency is a suite of software for insurance brokers designed with an easy-to-use insurance agency management system and an employee management software. AgencySmart is cloud based, which means you have access to your client information from wherever you are, with any web connected device. Answer client questions, make calls based on when they are up for renewal, track what they are doing. SIMPLIFY THE OVERWHELMING with one powerful solution designed specifically for insurance carriers & brokerages in the health and P&C insurance markets. Telephone, direct mail and web lead integration. Automated lead distribution to call center, captive agents and broker agents. Integrated quoting. Enrollment solutions for all sales channels. Policy management and unrivaled dashboard and reporting. BenefitsGuide streamlines the process of selling and servicing employee benefits from the perspective of the retail health insurance broker and the GA.
Damco’s InsureEdge is a scalable technology platform and insurance agency management software designed to help Insurers achieve maximum benefits through its comprehensive modules covering policy administration, claims processing, reinsurance, dashboards and statutory reporting, agency management, and more. InsureEdge has the industry’s most comprehensive and flexible insurance software solutions and processing functions for multiple lines of businesses, including P&C Insurance, Life Insurance, and General Insurance. Nexben helps companies of all sizes simplify the process of buying and selling health insurance. It focuses on making health insurance easier for everyone, so businesses can focus on what they do best. A web browser-based life insurance management system that supports end-to-end business processes of life insurance. Web-based contact management software with sales reporting, leads analysis and monitoring for life and health insurance industry. Hi there! Can I help you find the best Life & Health Insurance Agency Management solutions?